In 1924, the Kingston Highway Department did a good deal of work on the roads — particularly West Street, Pembroke Street, and Maple Street — and a new “highway beacon” was installed. 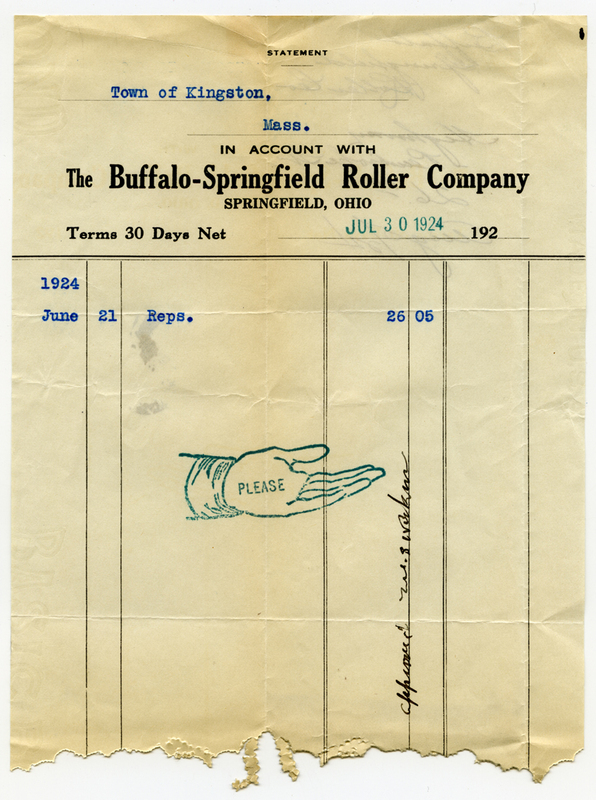 While discussions of municipal spending on roadways dates back to the earliest town meetings, automobile traffic — that “modern method of travel” — was a new and rapidly growing concern. Highway Surveyor Warren S. Nickerson did his best to balance repairs, new construction and snow removal within his budget. He pointed out in his annual report that costs were held down by judicious purchase and careful maintenance of equipment. 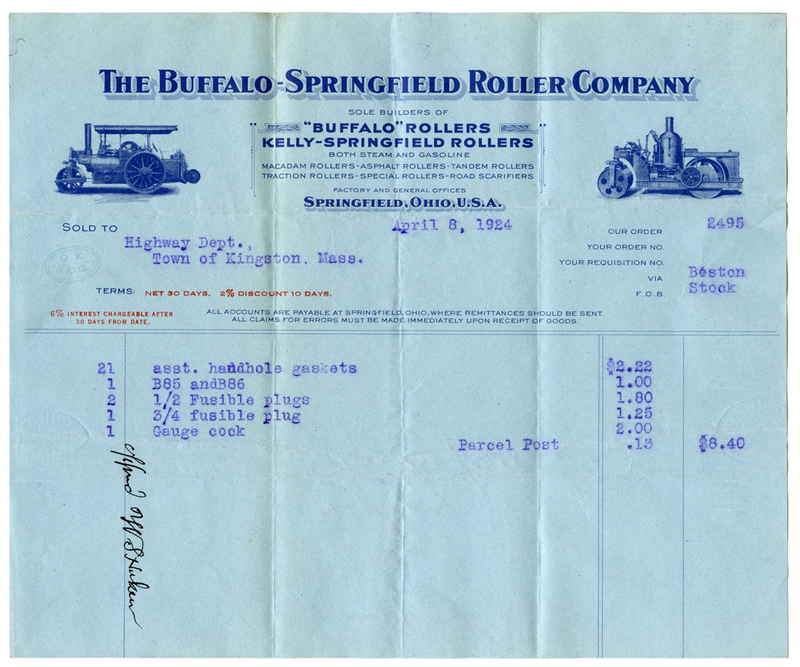 Some of those parts came from the Buffalo-Springfield Roller Company. 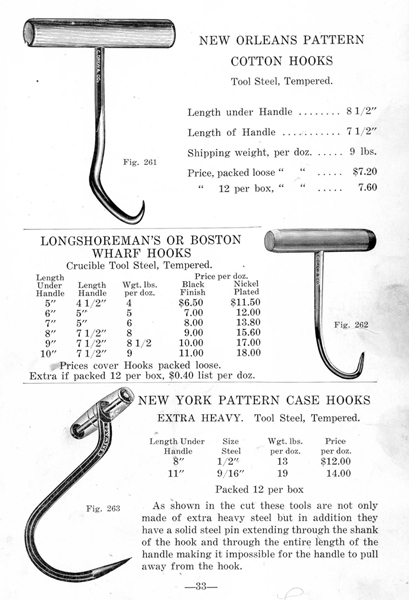 This month’s exhibit features a dozen or so hooks made by C. Drew and Company of Kingston. Stop by and take a look.